Tom Hodge and Franz Kirmann are composers who have been working in the film and television industry since the early-2000s, primarily writing scores for film shorts. Their latest project, however, is the upcoming British crime drama miniseries McMafia, set to air on AMC on February 26th, 2018. Both of you come from a background of composing film shorts. Was the transition to a full-out miniseries difficult or natural? Tom: I guess you could call commercials ‘film shorts’! I have done about 300 of those. I was glad to have experienced extreme deadline pressure over and over again, over many years. That at least, in part, prepared me for this most terrifying production schedule! But actually I didn’t think about any kind of transition as such. This was more a matter of bringing it all together from all the different experiences of both making half a dozen albums and scoring a wide variety of projects: commercials, a ballet, fashion shows. And bringing it all to bear in as unique a way as possible. 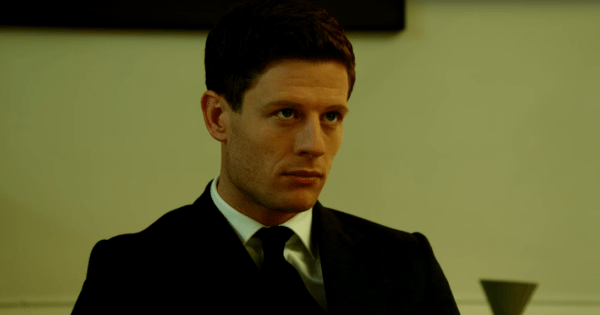 Franz: Prior to McMafia, my experiences scoring pictures was a handful of short films, an indie documentary – with Tom actually, and a couple of commercials and art installations, but nothing you could compare to the scale and the schedule of a series like McMafia. Tom’s experience with commercials and mad deadlines was a real asset when we started on it! Mr. Hodge, I read that you are credited as the Music Supervisor on Pimp. What roles does the music supervisor have that the composer doesn’t? Tom: That was my one supervision experience to be fair! I helped find the source tracks as well as write the score. I’m not sure exactly what else to add to be honest- certainly the music supervisor has their own very important relationship with the director, with perhaps a kind of wider view of everything than the composer might have. Score supervisors can sometimes be very involved with the minutiae of a composer’s work- really pouring over the actual dots and making suggestions. Alternatively, source music supervisors can be working mainly on finding unique preexisting tracks to add a different dimension to the music content on the film. There are endless variations between these two points. Mr. Kirmann, I noticed that you’ve done both documentaries and fictional pieces in your filmography. 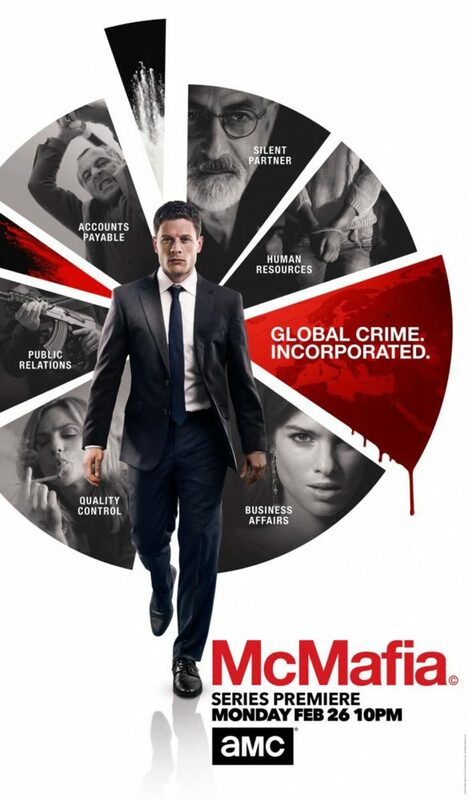 Given that McMafia rides the line between non-fiction and fiction, I’m wondering what that experience was like for you. That is to say, what was it like to help tell a story that has a real-life basis, but at the same time relies on fictional elements? Franz: We totally approach McMafia as a fiction in term of the music. We are telling a story, we are dealing with fictional characters, and there is a strong directorial point of view. So in terms of our approach we didn’t look at it as a documentary. The non-fictional aspect lifted from Misha Glenny’s book is the world the action is taking place in. We reflected it in some of our stylings and processing, like mirroring the flux of information and the technology behind it all with use of specific electronics and acoustic treatments. But it wasn’t the main drive for the composition. What was it like working with another composer? Did you find it was easy to get along with each other, or a little rough in the beginning? Tom: We’ve been working together for about eight years- it’s always a little rough but we can just about tolerate each other now! But seriously, the great thing was that, although the pressures of scoring are very different, there were certain processes we were able to carry directly through from making records together. We have a very clear and established dialogue, and lots of preexisting production processes which we could immediately draw upon. Franz: It’s intense to have to make so much music in so little time, and I’m amazed we didn’t have any fight or fall out! As Tom says we have established ways of working together, and after all these years we have developed a sort of common creative language that just makes it easier to convey our ideas to each other. What’s the division of labor like for you two? Like, do you assign each other a specific part to do or a specific composition to do, or do you work together on everything? Tom: We worked together on every cue. Shout out to Dropbox for making it possible! Franz: We used a colour coded system in Dropbox to make sure we were not working on the same cue at the same time! Tom: We had a string session with the London Contemporary Orchestra very early on in the process, combined with me experimenting on the piano in the afternoon- this was long before any cues were officially approved actually. And this very much set us off on the right path. I had many string sketches prepared, but trying it all out live really kick-started the process, and what the ‘sound’ of McMafia might be. There was so much material to work on- both in a traditional thematic scoring way, but also approached as one might take sonic material from a field recording or something like that. I responded in the afternoon with a piano session, again some sketches, but also directly to the string takes. And we took all this away and started building. It was slow at that stage, but I think those foundations meant that the ideas well never ran dry. 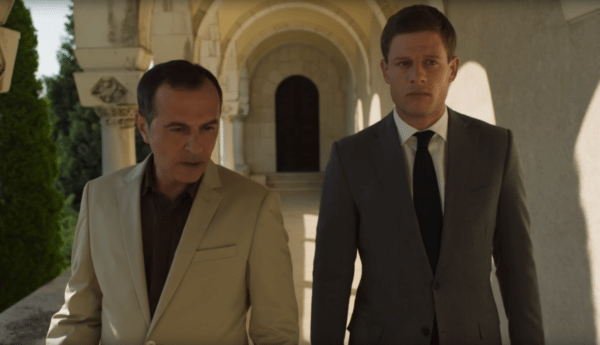 One of the interesting aspects about McMafia is that James Watkins directed every single episode. Even on British shows, it is uncommon for one person to helm an entire season on their own. As the composers, did you find it beneficial to have only one person to really collaborate with to get the music right? Tom: This was massively beneficial. As newbies working on this scale, we’ve all heard horror stories about death by committee of course. But with James (working hand in hand with his two editors, Jon and Stuart) it was basically, yes or no, let’s experiment with this emotion, or try that. He had complete final cut. It was an absolute blessing, and, I realize now, super efficient. Gerard McCann the music editor was brilliant too. He kept the dialogue constantly flowing, as we were simultaneously dealing with final tweaks and mixes of one episode, sign-offs and revisions on another episode, initial writing ideas on a further episode, and spotting a further one still. There was a lot of material to be holding onto at one time essentially! Franz: Yes absolutely, we were able to develop a strong relationship with him and get to really understand in detail what he wanted to achieve. It was great to take the time to have that dialogue. In the end, it is immensely beneficial for both the series and the music. We would like to thank both Mr. Hodge and Mr. Kirmann for taking the time out of their day to do this interview.